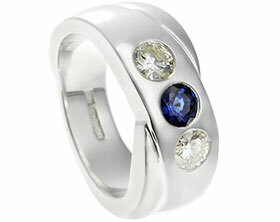 This comtemporary combined engagement and wedding ring is approx 5mm wide and has been made in 9ct white gold with a 9ct yellow gold overlay. 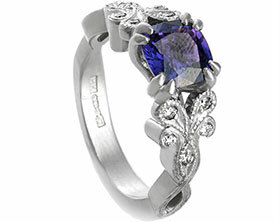 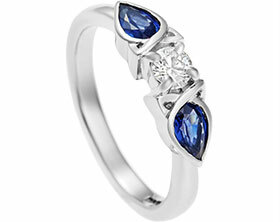 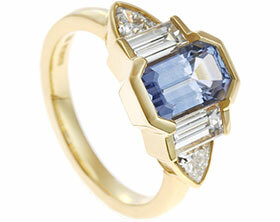 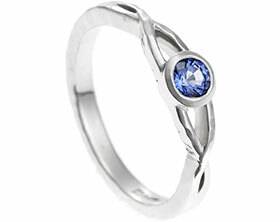 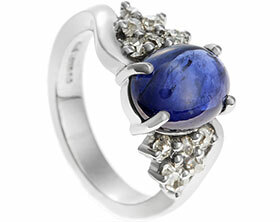 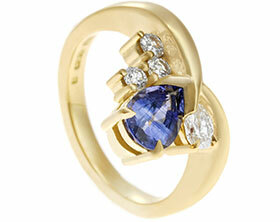 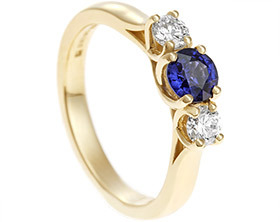 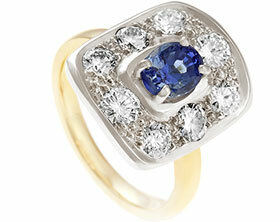 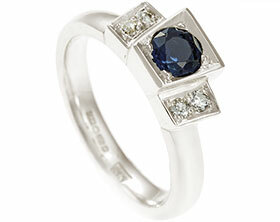 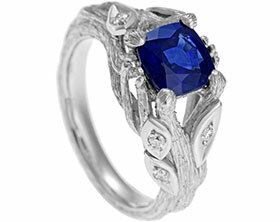 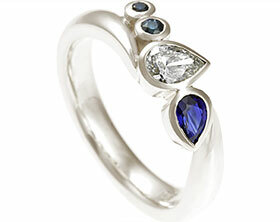 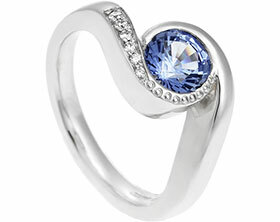 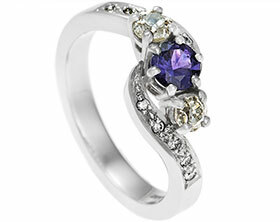 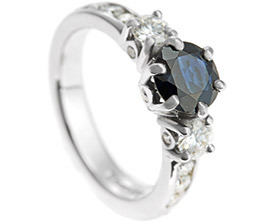 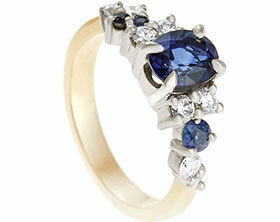 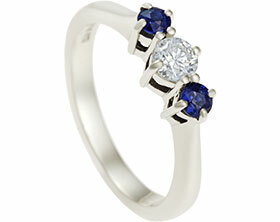 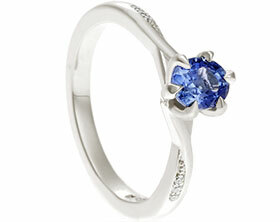 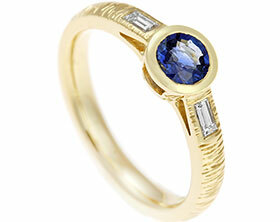 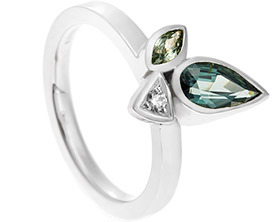 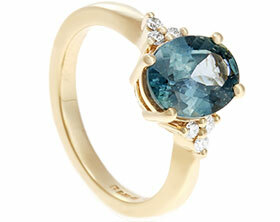 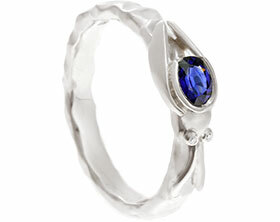 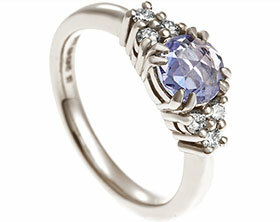 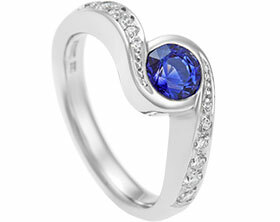 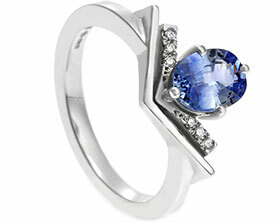 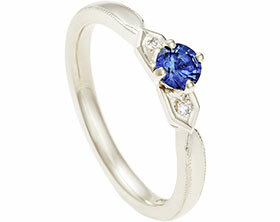 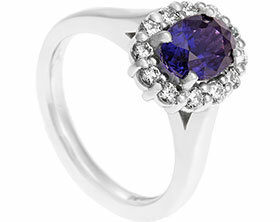 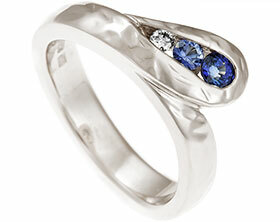 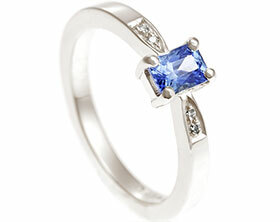 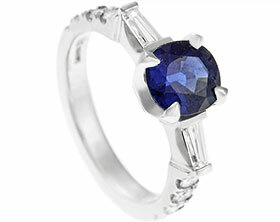 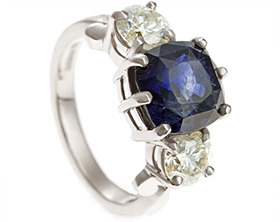 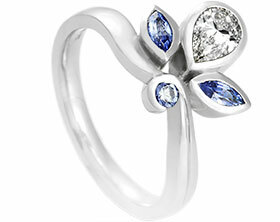 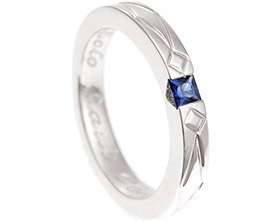 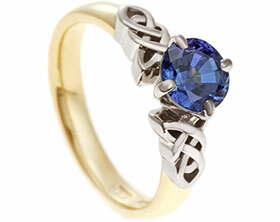 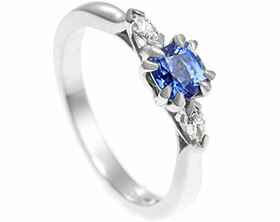 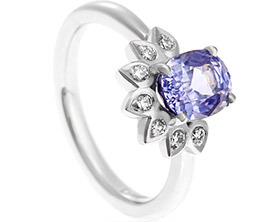 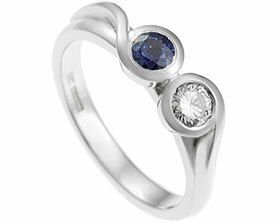 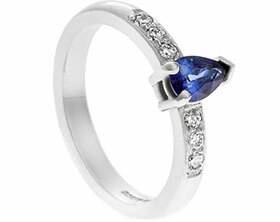 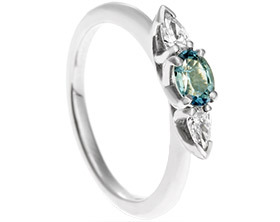 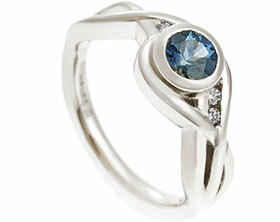 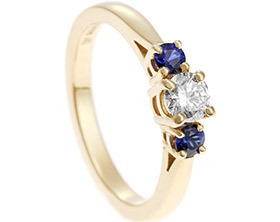 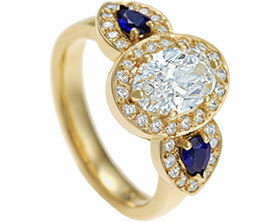 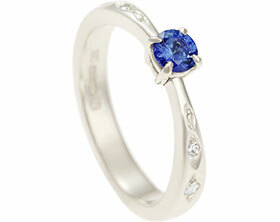 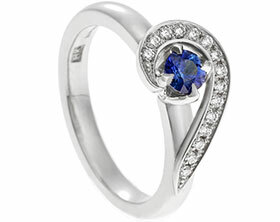 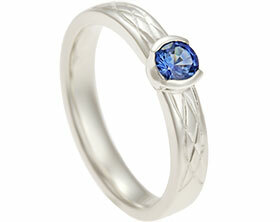 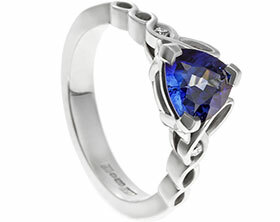 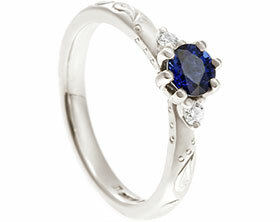 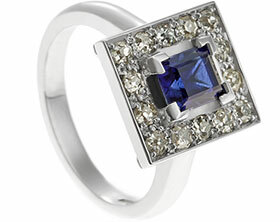 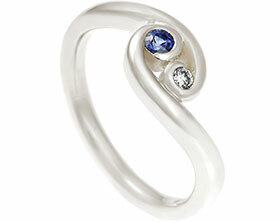 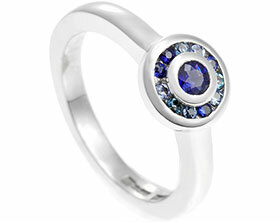 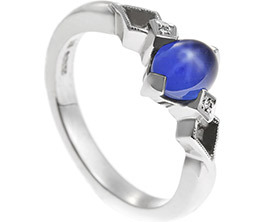 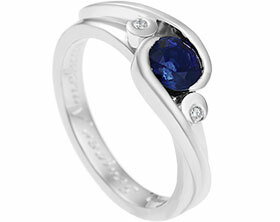 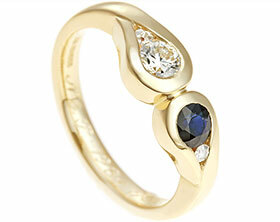 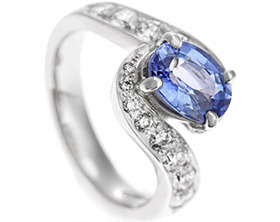 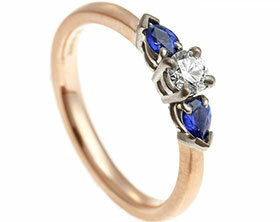 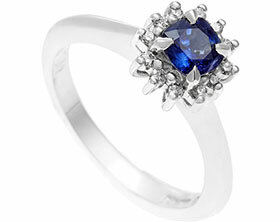 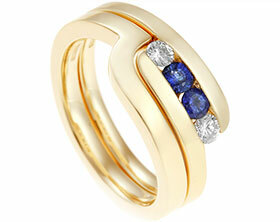 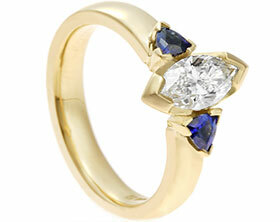 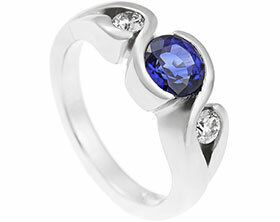 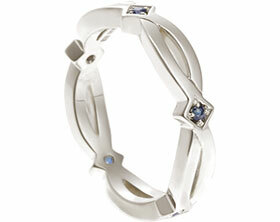 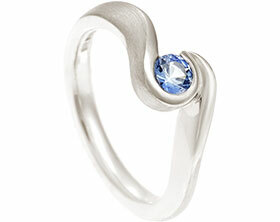 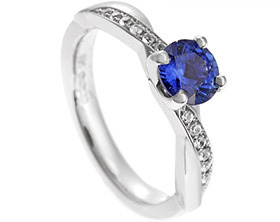 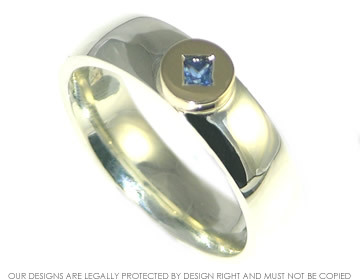 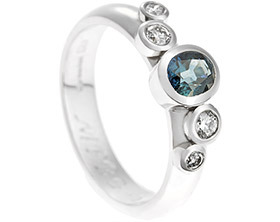 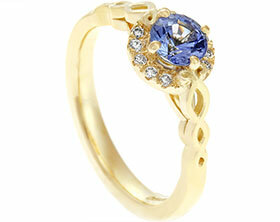 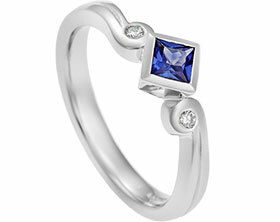 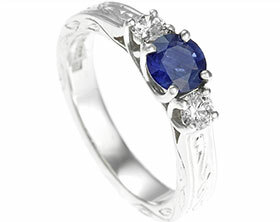 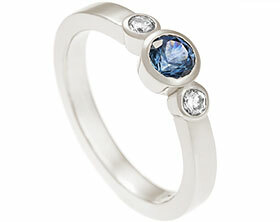 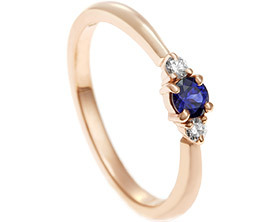 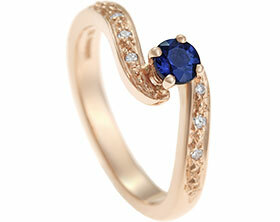 Within the overlay a 2mm princess cut blue sapphire has been invisibly set on its points. 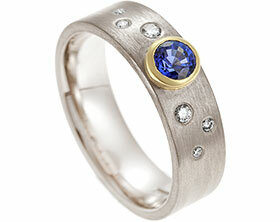 To finish the courting profile band has been polished to a high shine.